I packed my ailing Mac into the car and off to the Apple Store we went. I had called Apple’s corporate support team and tried to get them to help me arrange support. They interfaced with one of the local Apple stores in Scottsdale, AZ to determine that if I could get there within forty minutes, there was a chance they could look at my computer. There was no guarantee as they were booked with appointments, but there weren’t too many walk-ins so I might have some luck. A half hour later I was at the Apple Store. Oh, no, my Mac was too old! Apple no longer supported repair for my five-year-old iMac. It was legacy and it wasn’t worthy! The Apple employee offered an alternative authorized repair shop that wasn’t too far away. It was rush hour which is quite an experience in this area of Scottsdale/Phoenix, but I was on a mission. Another forty minutes and I was carrying the seat of all my creative endeavors in to the repair shop. The staff was busy with other customers, but made me feel welcome and relaxed. I walked around the store and then settled in to listen to the conversations going on around me. I could tell by the manner in which the staff was interacting with the other customers and by the conversation that I was, indeed, at the proper place for what was ailing my computer. Sure enough within a half hour or so, they confirmed my suspicion that the computer could not be immediately recovered and that the fix was not going to be quick. There was a $95 Diagnostic fee which would be applied to any repair if I decided to proceed. ; and I did. I received a call later that afternoon indicating that indeed it was my hard drive. The options, I was told were that they could replace my 1 TB drive with another for a total of $270 +/- OR…I could get a 2TB hard drive for just thirty dollars more. With the 2TB model would come an upgrade to the very latest system software as well. I had to think hard about that wrinkle, but decided to go ahead with it as they recommended. BTW, not all my legacy apps are running perfectly with the new system, but good enough! The machine was ready for pickup the next day. The hard drive had a three year warranty and the labor was covered for thirty days. I thought the 30 days was a bit on the short side, but it is within industry standards. Now came the dicey part. I was hesitant to even try this, but I had to get my Firefox (web browser) up and running and then I needed to try to restore the file with all of my passwords. 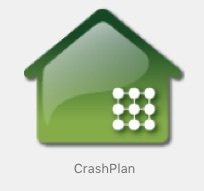 I was hoping that Crashplan’s (CP) local backup had copied it and I was strongly hoping that it could be restored. Remember that I did try to restore a couple of files and had success so I was optimistic. I plugged in the CP local backup drive, used the CP software to locate the file I needed and selected RESTORE. A few minutes later, Voila! The file was restored. The keys to the kingdom were back in my pocket and I was on my way. I now had access to all my passwords and my main email accounts. Once again, I relied on CP’s staff to help me answer a few questions about restoring my files. Understand, this was not a clone of my computer. I just had my files in organized folders which I then had to copy on to the new hard drive. While I would rather not have had this experience, I used it to eliminate some of the detritus that lives on any computer that is more than a year old. I deleted some very old outdated files. The first restoration I made was of my documents folder. After a while I could tell that most of the files were recovered. There were a few I couldn’t locate immediately, but later were found via a system level search for file name and properties. Sadly, there were a few folders and files that didn’t make it to the complete backup and are now gone, but these were not essential and can certainly be recreated or replaced anew. The first major test was to restore my music files. That took quite a while. I let my computer run overnight and I was pleased the next day to see that all of my music was there!